It will be a day of protests in the country as several trade unions, bank employee unions, farmers' bodies and teachers' associations are taking part in a two-day nationwide strike against the Narendra Modi government. Transport, banking, education, health, steel, electricity, insurance and other services may be affected as these trade unions, comprising over 20 crore workers, will join the two-day Bharat Bandh. 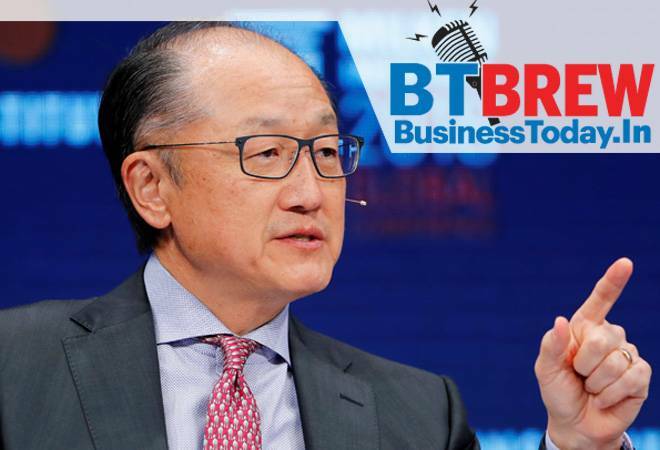 In a surprise move, World Bank President Jim Yong Kim on Monday announced that he will step down from his position on February 1 much before the end of his term in 2022. Kim, 58, has been in this position for over six years now. Kristalina Georgieva, World Bank CEO, will assume the role of interim President effective February 1. Bandhan Bank Ltd will buy mortgage provider Gruh Finance Ltd in a share-swap deal to build up its housing loan portfolio, the companies said. The deal will also help Bandhan Bank's main shareholder, Bandhan Financial Holdings Ltd, reduce its stake in the lender to just above 60 percent, local media reported earlier in the day. National carrier Air India has defaulted on salary payments for the second consecutive month missing the December pay-day amid liquidity crunch. Air India had failed to pay to its over 20,000 employees on time for most of the months last year. Like other public sector enterprises, the airline is supposed to pay the salaries on the last day of the month. Markets regulator Sebi Monday imposed a fine of Rs 10 lakh on Jaipur-based PRM Power & Projects for fraudulent trade by creating artificial volume in illiquid stock options on the BSE. In April 2018, Sebi announced to take action in a phased manner against 14,720 entities for "non-genuine trades" through the illiquid stock options segment. Reliance Jio Monday launched an app with family locator, lost and found features and other customised services for the world's largest congregation Kumbh Mela to be held between January 15 and March 4 in Allahabad. The app Kumbh JioPhone can be accessed from Jio store which will have 'Family Locator' feature to help attendees stay close to their family and friends by getting their exact location and 'Khoya Paya' (Lost and Found) feature to help them reunite.